Good news on the merchandise front. Cartoon Network Enterprises is announcing today a whole raft of new Adventure Time stuff coming our way over the next few months. The entire press release is below. Now that we’ll see a wider variety of merchandise, what character would you most like to see on a T-shirt? What time is it? Time for an awesome assortment of consumer products for the hit animated comedy series, Adventure Time with Finn & Jake! 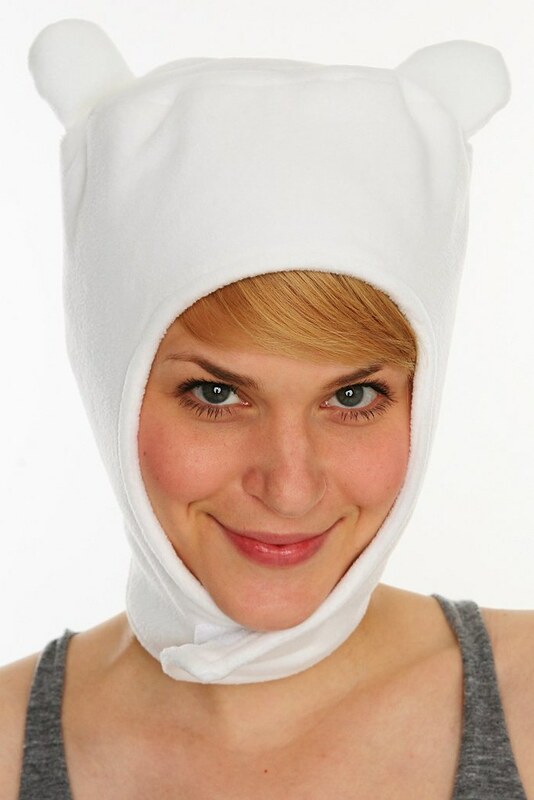 Cartoon Network Enterprises (CNE), the global licensing and merchandising arm of the network, today announced an algebraic line up of apparel and accessories partners that will feature the best buds Jake and Finn, the Ice King, Princess Bubblegum and other loveable characters from creator Pendelton Ward in a range of categories across retail this spring. Building on its smash hit ratings success and the ubiquitous appeal of the brand for audiences of all ages, CNE has signed seven awesome soft lines partners to date, many of whom will showcase Adventure Time products at the MAGIC Marketplace trade event on February 14 in Las Vegas. Coming off of an extremely strong roll-out of product at Hot Topic retailers nationwide, existing partners Bioworld, Mighty Fine and Changes will expand upon their product assortment for Adventure Time by adding SKUs and expanding retail distribution. Bioworld will expand its placement of bags and headwear to specialty and mid-tier starting later this spring, while also launching kids t-shirts across mass market retailers this fall. Mighty Fine will create additional junior and tween t-shirts, knit tops and fleece for specialty and mid-tier retailers that will launch later this spring while Changes unleashes boys and young men’s t-shirts and accessories, rolling out at specialty and mid-tier retailers later this spring. PS Brands/Planet Sox will join these other existing partners and offer hosiery for both kids and adults that will be available starting this spring across a variety of specialty retailers. Underboss-Undergirl will unveil a line of juniors and young men’s underwear, sleepwear and robes beginning this spring across specialty and mid-tier retailers. High IntenCity will launch jewelry, hair and novelty items for specialty retailers beginning this fall. From the mind of Pendleton Ward, Adventure Time is produced in partnership with Frederator Studios with Fred Seibert serving as an executive producer on the series. Ooo is a land built for adventure. Teeming with imposing mountains, lush green plains, accessible forests, ubiquitous prairies and winding rivers, the cities and towns are filled with bizarre characters in need of unique assistance. Whether it’s saving Princess Bubblegum, defeating zombie candy, mocking the “oxy-moronic” Ice King, or rocking out with undead music wiz Marceline the Vampire Queen, with Finn & Jake it’s always Adventure Time. Since its debut, fans of the show have enjoyed an immersive online experience on the official show site www.itsadventuretime.com/, which is full of branded information as well as original Adventure Time games, Sound Castle and Righteous Quest 1 & 2, with more than 26 million gameplays to date. Additionally, CNE continues to add consumer products partners for the brand, with announcements in the toy and interactive categories expected in the coming months. New episodes from the Adventure Time television series can be seen on Cartoon Network on Monday nights at 8:00 pm (ET/PT). Cartoon Network Enterprises (CNE) is responsible for building consumer products and merchandising programs for a wide range of brands by securing and supporting long-term licensing partnerships across all categories. As the global branding and merchandising arm of Cartoon Network and Adult Swim, the division manages the consumer product programs for the networks’ award-winning original programming, brands and characters including Ben 10, Generator Rex, Chowder, The Marvelous Misadventures of Flapjack, Adventure Time, Adult Swim and more. CNE also serves as the exclusive global licensing agent for the full portfolio of brands from Spin Master Ltd., as well as Nelvana Enterprises and Spin Master for the award-winning Bakugan brand and the PGA of America for the youth marketplace. Cartoon Network (CartoonNetwork.com), currently seen in more than 99 million U.S. homes and 166 countries around the world, is Turner Broadcasting System, Inc.’s ad-supported cable service now available in HD offering the best in original, acquired and classic entertainment for youth and families. Nightly from 9 p.m. to 6 a.m. (ET, PT), Cartoon Network shares its channel space with Adult Swim, a late-night destination showcasing original and acquired animated and live-action series for young adults 18-34.